Set the scene on your next picnic with these high quality double wine picnic sets. A fabulous companion on your next picnic at the park, these wine coolers feature a sleek design with contrasting trim that follows the contours of the bag. Includes 2 glasses, 2 napkins and a waiter's friend all neatly packed inside. 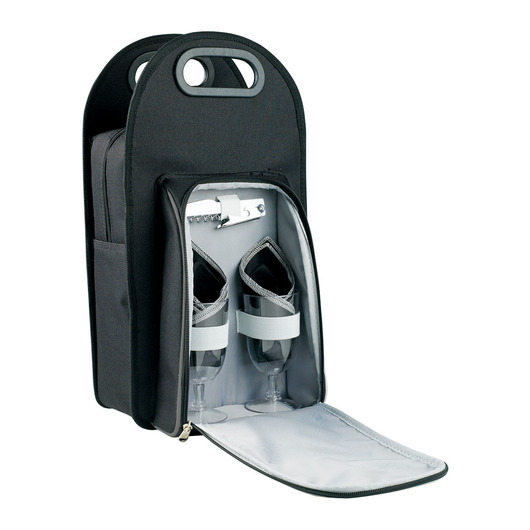 This cooler has the capacity to hold 2 wine bottles with a divider that folds flat for compact storage. 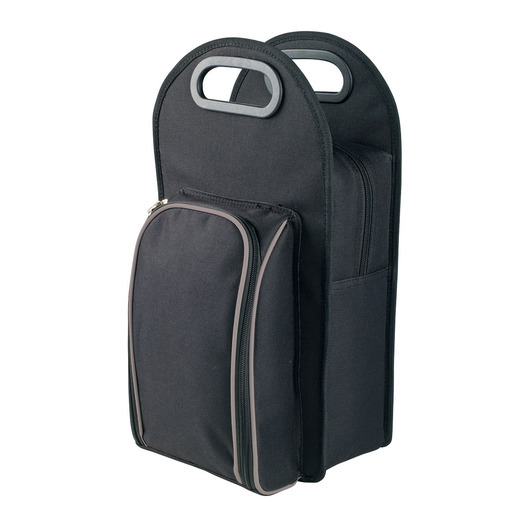 Made from 600D polyester with PVC backing these bags have a sturdy, high quality construction. Other features include: strong double handles at the top, a double zippered main compartment with silver lining and a front zippered compartment to hold the glasses, napkins and waiter's friend.